Clipgrab is an a free, cross platform tool that lets you download your favorite videos from online video streaming sites. Its pretty easy to install and use; download videos from large number of websites specially YouTube, Vimeo, Dailymotion, MyVideo, MySpass, Sevenload, Tudou, Clipfish etc. Simply search the video in this app, select and download it. We will be reviewing its prominent features and installation steps for Ubuntu Linux 15.04. Here are some cool features of this freeware application. It offers an easy to use and clean graphical interface to download videos. Officially supported download software for Youtube, Daily Motion, Vimo etc. Downloads videso from unofficially supported video streaming sites without any issues. Ability to automatically detect compatibility URL. Offers users with choice to download high definition, standard or low definition version of the Video. Users with low or capped network bandwidth , find this option useful. Run following command to update package manager repositories. Once update process is complete, run following command to install Clipgrab. Congratulations, ClipGrab has been installed, launched it from Applications menu. You can copy and paste the URL under “Download” tab to start grabbing your favorite videos. You can also set the download path under “Settings” tab. ClipGrab has gained massive fan following due to the clean and stable interface. It is cross platform tool and works fine on all popular operating systems. It is a must-have application for Linux desktop users. My favourite way to download videos is using an easy trick that is adding the letters dl before the name of the site on the url of the video and pressing enter (so it must go like dlyoutube, dlvimeo, dlvevo and etc.). 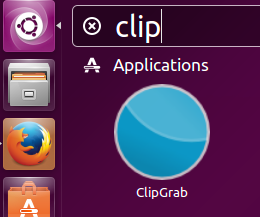 Hi, I am not able to download this clipgrab on my ubuntu 15.10, Please help me out to install this software. Hi, What exactly error you are seeing?